The video game personality and host discusses her book The Holder's Dominion. 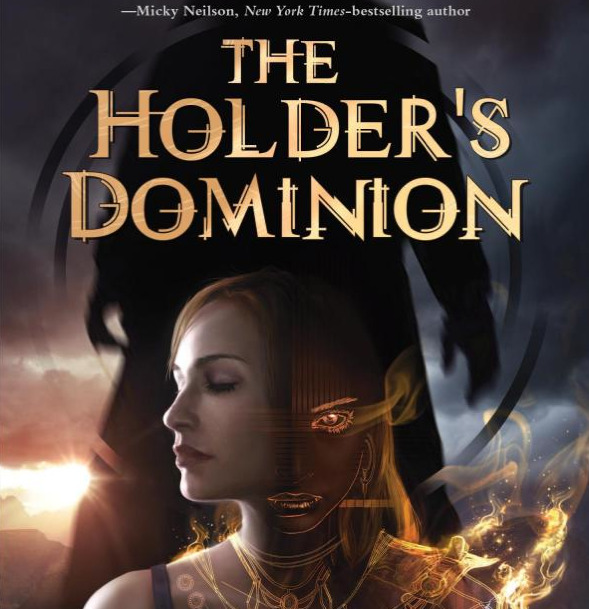 During Comic-Con a couple of months ago, I had the opportunity to meet the lovely Genese Davis, an author who recently published her book The Holder's Dominion. But this is no mere adventure tale – it's something tailor-made for video game adventurers at heart, as Genese is an avid video game personality, host and columnist. She crafted the story with gamers in mind, focusing on a damaged young woman named Kaylie who finds herself immersed in the gaming world of Edannair. I recently had the chance to sit down with Genese and discuss the book with her, as well as her experience at Comic-Con and her "Gamer In You" movement. When we first met, you were taking part in a video game panel at San Diego Comic-Con. How exciting was that for you? Genese: It was an honor and truly exciting being a panelist and a featured author at Comic-Con. When we met, I was speaking alongside a great group of panelists including David Eddings, Patrick Scott Patterson, Warren Davis, Rachel Lara, and Paul Dean. We discussed where video games have been and where they are going. This topic is close to my heart because video games have improved my life and improved the lives of so many others as well. Positive gaming experiences from the home or from a developmental perspective are not often featured in national media. It’s really exciting getting to share the growth and potential this industry has to connect and improve our world. I can’t wait for next year’s Comic-Con! This international convention has blossomed into a rich environment used to share the creative ingenuity of every art medium. Any fan of movies, video games, writing, comic books, painting, 3d-animation, visual effects, and more, has a special place at this incredible event. Getting together to learn about and share your favorite genres is a magical thing. At Comic-Con, you’ll meet hundreds and hundreds of incredible people. By Sunday, I had lost my voice. How did you first get started in the game industry? Was it a passion from your younger days or...? Genese: Other than playing an occasional Nintendo title, I didn’t have much exposure to video games while I was growing up. Anything that had to do with horses or aviation had my attention, until 2002 when I discovered more serious gaming. It was then that I started playing with competitive guilds in Final Fantasy XI. To this day, over ten years later, Final Fantasy XI is still my favorite video game because of how much it influenced my gaming and writing career.